If you have long curly hair, it can be a blessing or a curse depending on how you manage it. If you have it, you got to carry it boldly. But when the weather is bad, or you’ve had a rough time caring for your hair and it’s all over you, easy hairstyling hacks can save your day! What Are the Things You Need to Get Started With Styling? First of all, you’ll need a few necessary things to style your curls. The list includes a good leave-in conditioner, Argan Oil, a good hair wax, a quality hair spray/ Heat protectant spray, a hair dryer with a diffuser, a flat iron, a set of hot rollers, a curling iron, hair bands, styling clips, and bobby pins. We recommend the following products that help your styling journey more enjoyable and easy. 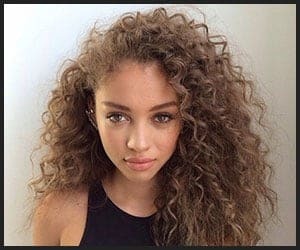 How to Prepare Your Hair Before Styling Them in Different Ways? 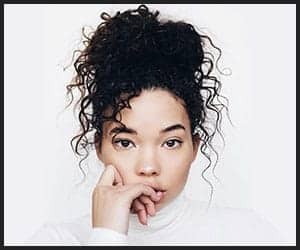 Step 1: Before you decide to pull off a great hairstyle on your curly hair, make sure you’ve washed it well with shampoo and have used a good hair conditioner on it. Step 2: After it is washed properly, you can choose to dry it with a hair dryer or choose to air dry it without using a hairdryer. If you use a hairdryer, make sure you have attached a diffuser with it. Do not completely dry it to keep it a little bit moist. Step 3: Now you can use your favorite leave-in conditioner and apply it gently onto your hair. Take only a tiny bit on to your hands and evenly distribute it throughout. Step 4: Take a few drops of Argan oil and apply only on the bottom parts of your hair. Bottom parts because that is where all the damages take place and Argan oil will help reduce it. Step 5: Apply a tiny bit of hair wax or hair pomade. Reason? It defines your curls without weighing it down like gels or hair mousses. Step 6: Take your hairspray and spray it onto your palms and rub it. Then scrunch your hair from the bottom and evenly apply all over to help set your hair. After you have prepared your hair, you are ready to take on the next challenge, which is, styling your hair. We have come up with some easy yet, classy hairstyles you can try on your hair without much hassle. This one is for those who want to embrace the natural characteristics of their hair yet keep it graceful. After you have prepared your hair, this hairstyle will require just one easy step which is blow drying it. 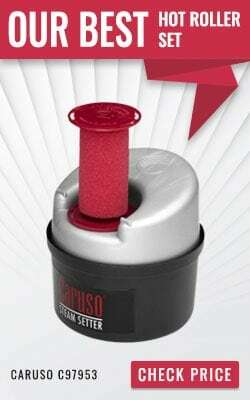 Use a blow dryer medium speed and heat and diffuse your curls gently using a diffuser. Once you are done, keep all your hair on one side and voila! While curls can be gorgeous on their own, at times it feels great to experiment how it would look straightened. This will require you a good flat iron, best if the plates have titanium or tourmaline in them. Apply heat protectant spray on your hair. Section them in 6 to 8 parts using styling clips. Now glide through your flat iron from the roots to the tip of each section. Once all the sections are done, you’ll be surprised with the results! This one is super easy yet puts you in the mood! Just gather all your hair up and tie it as a bun on the top of your head using a hairband. Keep some of the hair strands at the end of your bun and pull them toward your forehead. Now arrange the bun to give it a nice round shape. Done! Space buns are tremendously cute if you do them properly. Section your hair into two equal parts. From your forehead, twist and tuck each section of your hair. Now tie each section up into high buns and arrange them into a round shape. Use bobby pins to hold them into place. This one is similar to the high space buns but the difference is in the positioning of the buns. 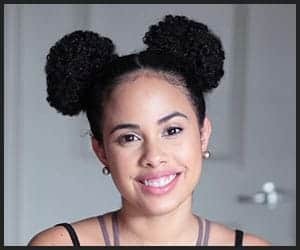 Similar to the high space buns, section your hair into two parts and tie each section into low buns using hair bands and arrange accordingly. Use bobby pins to hold them in place. You can twist and tuck the front part or leave it depending on what suits you. This one is the famous tailor swift style ponytail which leans onto one side. Gather your hair on one side of your head. Take a section of hair from the side and make a simple loose braid. Now take all of your hair including the braid and tie using a hair band. Using a sparkly headband can glam it up but you can leave it too. Now pull some hair on the other side. Ta-dah! Side braids are trending especially after the Disney princess Elsa from Frozen came to the screens. To pull off a hairstyle similar to Elsa’s on curly hair, you need to tame your hair a bit more using a few drops of Argan oil. Then start braiding your hair loosely and slowly lean it on one side to bring that look. Tie the end using a hair band. If your hair is of medium-long length, this hairstyle is just for you! The Pineapple updo is easy, sassy and classy. Carefully gather all your hair up and tie it tight using a hairband. Now arrange your hair strands that are dangling from the top on all sides, just like pineapple leaves. Half up curls can be a really cool casual look. All you need to do is take the front section of your hair and tie it with a band. Keep the rest of the hair naturally down. This one is similar to the brunch bun but with a twist. All you need to do it keep a section of hair out for making a braid and make a bun with the rest of the hair on top of your head. Now make the bread with the leftover section of hair and wrap it around the bun and secure with bobby pins. 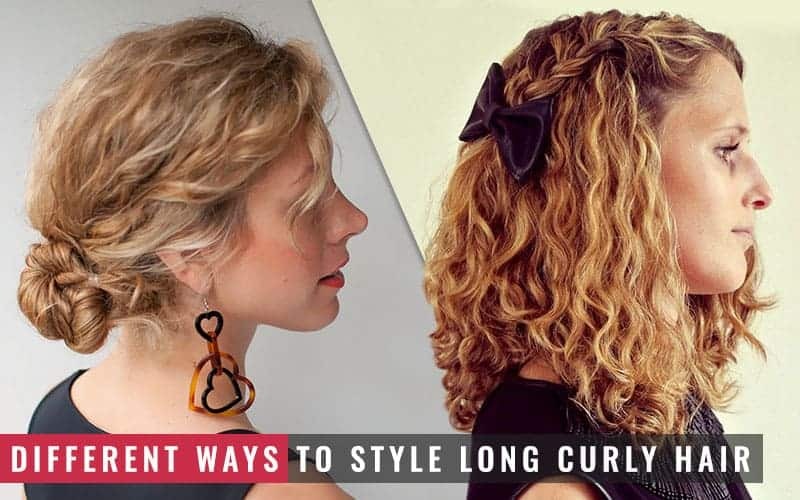 If your hair is frizzy and nothing is helping, you can still nail the curly hair look using hot rollers of large sizes. 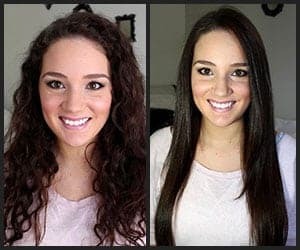 The Caruso molecular steam hot roller model which is one of the best hot rollers for long hair can do wonders in this case. You can simply roll the strands up in the hot rollers and wait for 25 to 30 minutes to get gorgeous defined curls that fall perfectly. Who uses curling irons on naturally curly hair? The truth is, many do! Especially on the days when your hair is just uncontrollable, curling irons can make them look more defined. If your hair is in the middle of wavy curly, curling irons can help them look more polished on special days. 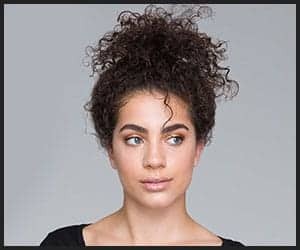 While keeping your curly hair in control seems like the hardest job, a few tricks can make it a lot easier. 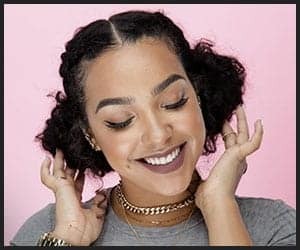 Knowing the hair hacks will not only save you from the hassles of looking great every day, but it will also save you bucks not having to go a hair stylist every now and then. 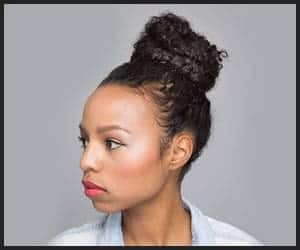 The simple hairstyles that are both affordable and doable at home will make every day a great hair day.